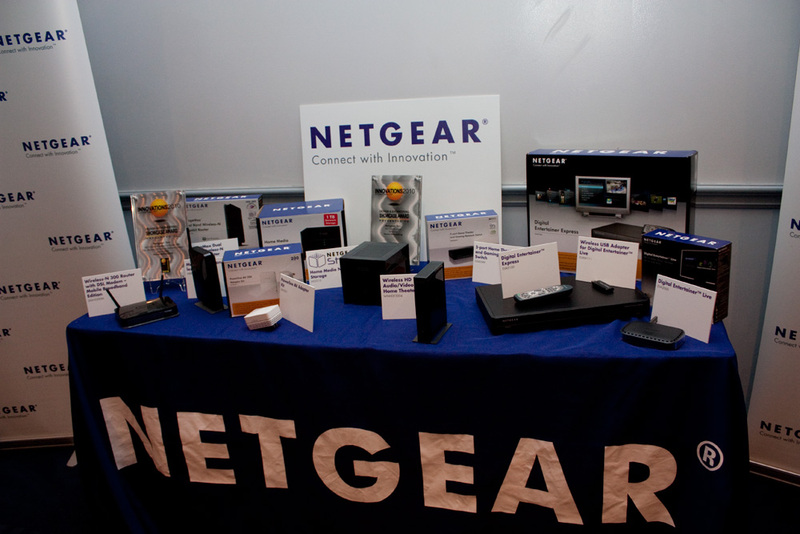 We’re at the Netgear’s Press Conference. Let’s get started! It’s about to start soon. 9:10 AM – New Stora NAS (network attached storage) device for remote access content. it can backup and centralize content. Works with any platform. iPhone, PC, Mac, etc. Sharing is damn easy! Easy to generate URL to share content. Modular interface offers expanding storage with matching HDDs. (RAID 1 Array) Premium paid services include support for Social Networks (Facebook uploads) and RSS Feeds for geeks. Even a digital photo frame that connects over WiFi to display content from NAS. Price Point $199 with 1TB HDD. 9:15 AM – Netgear mentions brand new video compression features. It keeps content looking HD-like, but compact enough to be transferred over networks. It’s named weirdly enough Zigxy. They let the audience test it. I was able to stream a HD video in a compressed format to my netbook running on a Sprint 3G modem. The claimed compression is of a 6.5 Mb/s stream. (It’s claimed to work as though you had 3x more bandwidth). 9:20 AM – Range MAX DualBand Wireless N Router. Best of CES of 2009 has received a refresh for this year with Netgear’s “Bridge Experience.” This new technology offers 4×4 wireless N MIMO along with 1080P streaming capabilities that will cover a 3000sq ft home with ease. This new product will be offered in the spring. Thanks for the correction, they never put the name on the PowerPoint. Just had to guess!